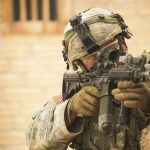 On Wednesday, the Pentagon acknowledged that 2,000 US troops are on the ground in Syria – four times the number previously acknowledged, though it doesn’t include some special operations forces or troops assigned to classified missions. The Pentagon also acknowledged that 5,200 American troops are serving in Iraq. The Coalition estimates that fewer than 3,000 Islamic State fighters remain in Iraq and Syria. On Saturday, Iraqi Prime Minister Haider al-Abadi declared an end to the war against the Islamic State, though US strikes continue across both countries. 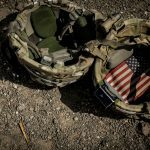 MOST RECENT OIR CIVCAS REPORT (November 30): In the month of October, CJTF-OIR carried over 519 open reports of possible civilian casualties from previous months and received 240 new reports resulting from Coalition strikes (artillery or air) in support of partner force operations to defeat ISIS in Iraq and Syria. During this period, the Coalition completed the assessment of 64 reports: 55 were assessed to be non-credible, four were assessed to be duplicates of previous reports, and five were assessed to be credible, resulting in 15 unintentional civilian deaths. To date, based on information available, CJTF-OIR assesses at least 801 civilians have been unintentionally killed by Coalition strikes since the start of Operation Inherent Resolve. A total of 695 reports are still open. The Coalition conducted a total of 28,198 strikes that included 56,976 separate engagements between August 2014 and October 2017. During this period, the total number of reports of possible civilian casualties was 1,790. The total number of credible reports of civilian casualties during this time period was 199. The percent of engagements that resulted in a report of possible civilian casualties was 3.14%. The percent of engagements that resulted in a credible report of civilian casualties was .35%. "Pentagon wants to wait 24 mos before reviewing how the Somalia plan is working." Congress Funds Government until Christmas: Congress voted to pass a 2-week continuing resolution on Thursday that will keep government funded until December 22nd. 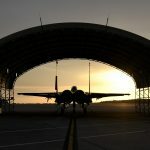 In the meantime, lawmakers will have to wrangle with budget caps that threaten large portions of the budget’s ballooning military expenditures, a key platform position for Republicans. 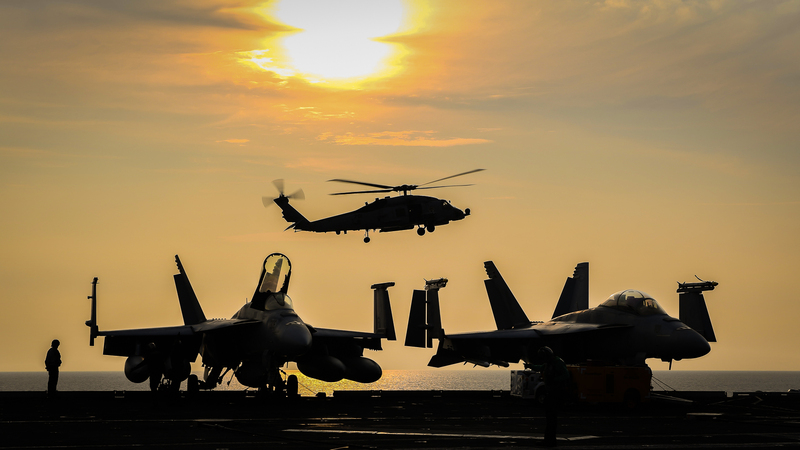 Budget hawks in the Pentagon and in Congress are growing uncomfortable, however, with the reliance on continuing resolutions since the FY 2017 budget ran out in September, prompting Senate Armed Services Committee Chairman John McCain (R-AZ) to cast a vote against the measure. “Every day we spend on a Continuing Resolution is a day that our military must try to do more with less, modernization is delayed, and readiness is degraded,” McCain said of his vote. Concerns among Republicans are growing that Democrats will use the chance to exercise their filibuster power on the budget vote to extract concessions on DACA provisions, CHIP funding, and more. Lieu Raises Civilian Deaths at Counterterrorism Hearing: Representative Ted Lieu (D-CA) drew attention on Thursday when he questioned David Trachtenberg, the Acting Under Secretary of Defense for Policy, about a report by the Daily Beast alleging that United States special forces had killed civilians on August 25th in Bariire, Somalia. Trachtenberg denied that civilians were harmed, referring to an AFRICOM investigation that concluded that only enemy combatants were killed. Daily Beast reporters referred to material evidence like American bullet casings found at the scene of massacres that AFRICOM claims were committed by the Somali National Army. Cases like this emphasize the need for enhanced reporting requirements for United States military operations abroad, and activists are hopeful that an NDAA amendment calling for improved information standards in DOD reporting will achieve progress in this field. Afghanistan: A US drone strike on November 28 killed seven Taliban militants in Logar province. On November 29, a US strike killed eight militants in Nangarhar’s Achin district, though it is unclear to which group the fighters belonged. A US drone strike on December 1 targeted an Islamic State compound in Nangarhar province, killing four IS-K militants. On December 2, a US strike killed eight IS-K members in Nangarhar’s Achin district. Two US strikes reported on December 3 killed at least eight IS-K militants in Nangarhar’s Achin. Another possible US strike on December 3 in Farah province hit a Taliban hideout, killing four fighters. On December 4, US strikes near Greshk and Musa Qala districts in Helmand province killed at least six Taliban militants. A US strike on December 5 targeted an Islamic State compound in Nangarhar’s Achin district, killing at least twenty-five IS-K fighters. On December 5, Afghanistan’s intelligence agency and the US military announced that a series of joint US-Afghan operations in Ghazni, Paktia, and Zabul provinces killed scores of Taliban fighters, including Omar bin Khatab – the most senior leader to be killed in Afghanistan since the Taliban was driven from power in 2001. On December 7, US strikes hit multiple Taliban drug labs in Helmand province as part of an ongoing campaign under target the group’s finances. 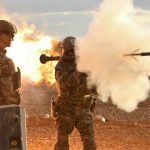 Somalia: The New York Times reported that the Pentagon has proposed an operational plan for Somalia to the White House that envisions at least two more years of combat against Boko Haram and Islamic State militants in the country. Included in the plan is an exception to bypass annual interagency vetting, instead allowing the Pentagon to conduct an internal review of the plan after twenty-four months. The proposed plan would be the first to operate under President Trump’s “Principles, Standards, and Procedures” signed in October. Yemen: CENTCOM reported that US airstrikes on November 20 killed five AQAP militants in Bayda province. The Intercept reported this week that the Trump administration is considering a set of proposals set forth by Erik Prince to create a private intelligence apparatus “as a means of countering ‘deep state’ enemies in the intelligence community seeking to undermine Donald Trump’s presidency.” Under the proposals, a private army of spies would operate in several countries deemed “denied areas” for current intelligence personnel and would report directly to the president and CIA Director Mike Pompeo. The White House is also considering plans for a rendition unit to capture terrorist suspects around the world, as well as a propaganda campaign in the Middle East and Europe to combat Islamic extremism. At Just Security, Jon Michaels provides initial thoughts to Erik Prince’s proposal. Michaels notes that the use of a private intelligence apparatus marks a radical departure from the already questionable practice of using private military and intelligence contractors. Yet, while previously contractors were intended to complement or reinforce US armed forces, under the current proposal, Prince appears to want to contract out intelligence work because he doesn’t trust the US intelligence community. Pakistan: On a visit to Pakistan on Monday, Secretary of Defense Mattis pushed Pakistani leaders to redouble their efforts to confront the Taliban and Haqqani network militants within its borders. Mattis said that the Coalition Support Fund, used by the US to reimburse countries for counterterrorism operations, was not discussed. Payments to Pakistan from the fund were suspended in July after the Trump administration said Pakistan wasn’t doing enough to rein in the Haqqani network. Syria: On Friday, Defense Secretary Mattis said that the Pentagon is “changing the composition of our forces” in Syria. The US will decrease support to Syrian Kurds as part of an overall shift from supporting combat operations to emphasizing policing and local security efforts.